Following that idea, we present a new type of brainteaser, newly arrived from the Far East. 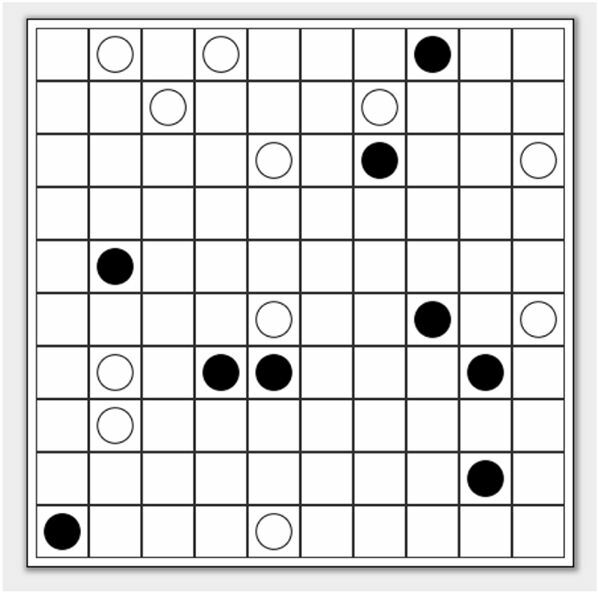 The masyu is an example of a recently created logical puzzle from Japan—following in the footprints of other similar brainteasers such as Sudoku—which has also begun to cross borders and become known and played all over the world. In addition, and as is obvious, it’s also full of “holes”, although not necessarily 58. 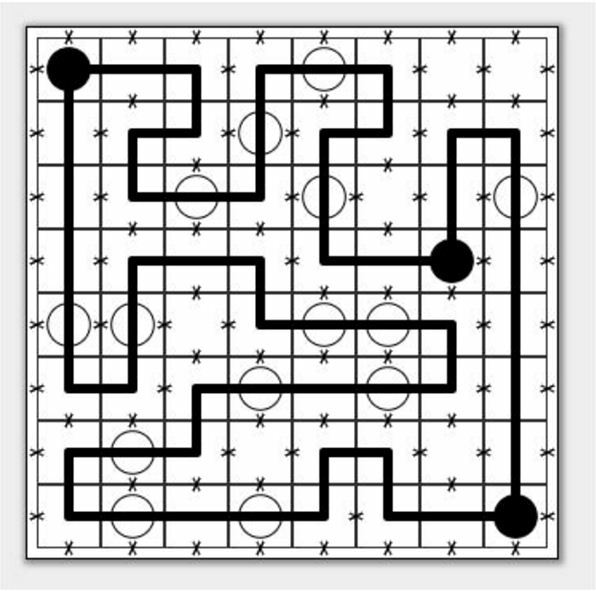 The objective of the game is to draw a continuous closed line that passes through all the holes or circles present on the board without cutting or crossing the line at any point. The white circles must be crossed in a straight line but the path must turn 90º in the previous cell and/or the subsequent one. 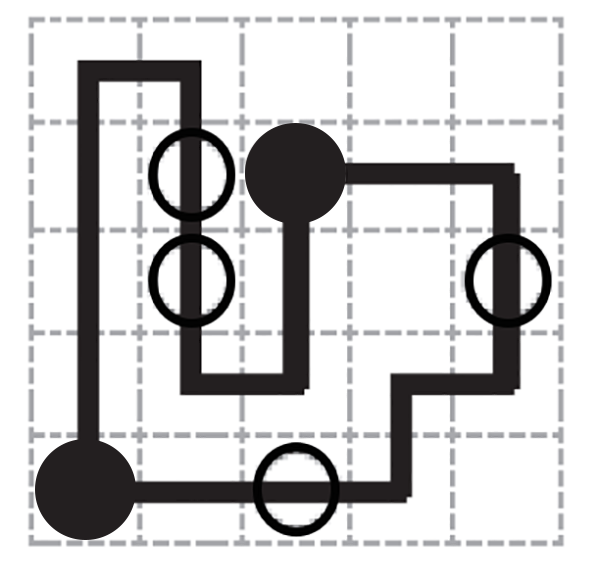 With the black circles, the line must always trace a right angle, but the circuit must cross the previous cell and the subsequent one in a straight line. Now that we’ve presented this month’s double challenge, we review the history of the first board game that crossed multiple borders. 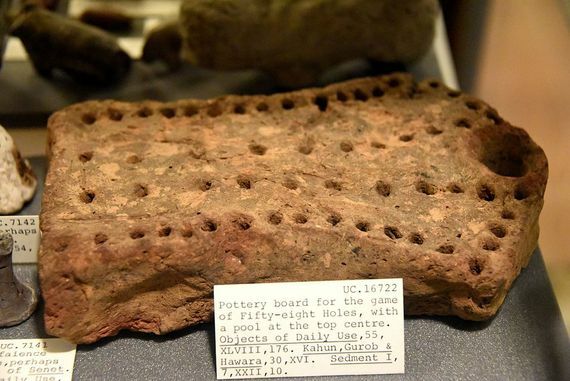 The original 58 holes, given the numerous pieces of archaeological evidence found, had to have been very popular throughout the Near East 4000 years ago, since remains of the game have been found in Egypt, Palestine, Mesopotamia and Assyria—and now also in the Caucasus. 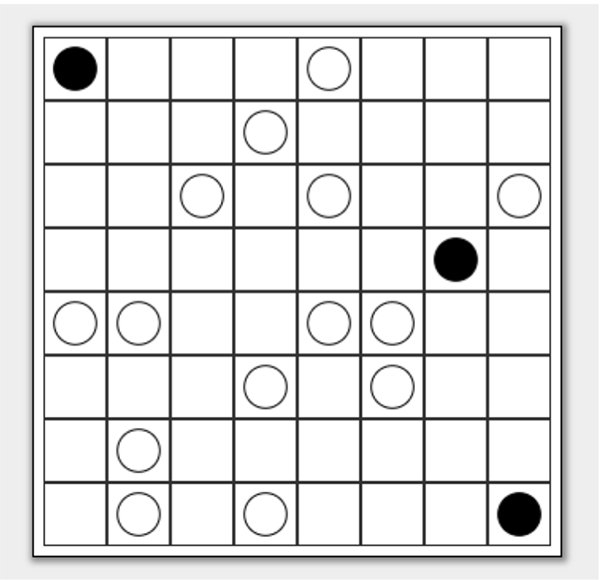 In essence, it consists of two rows made up of holes that run parallel to the end of the board. There are usually 58 holes in total. In addition, on many boards the rows turn and converge at the far end of the board. Additionally, there are usually “shortcuts” and “traps”. The rules are not clear, but it’s believed that it was a game for two players who took turns rolling a die to try to be the first to move their five chips from one end to the other. And for that reason it’s considered a precursor or relative of “modern” games like Backgammon. The alternative name of the game—Hounds and jackals—comes from the most famous board game found to date, discovered in the tomb of the Egyptian scribe Reny-Seneb of the XII dynasty. It’s an exquisite board made of ebony and ivory in the shape of a small piece of furniture with animal legs. Along the top run two rows of holes and there is also a drawer containing ten pieces shaped like small poles or sticks—five of them with the head of a dog and five more with a jackal’s head. 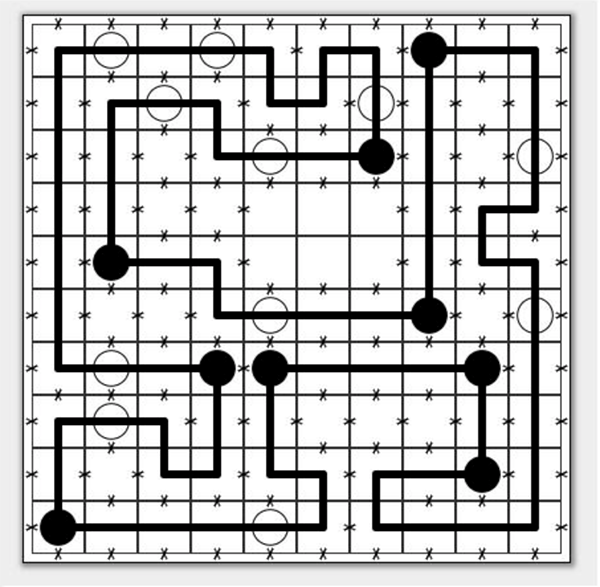 The curious discovery of the game board of Azerbaijan began with a “routine” internet search of publications on the game “58 holes” by the archaeologist Walter Crist of the American Museum of Natural History. 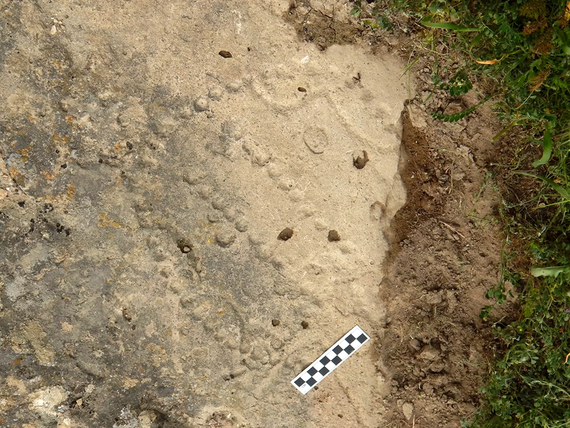 That’s how he discovered, in an Azerbaijani magazine, a photograph of what looked like a game board of 58 holes carved into the stone of a rock shelter. After travelling to the region to visit the place, he discovered that it had been destroyed in a building project. Fortunately, a local official told him about the existence of another rock shelter in which there was a pattern of identical holes. In the end he found it, studied it and was able to confirm that the popular game had reached other civilizations and that cultural exchanges have existed since the prehistory of humanity.